Curiosity is climbing! 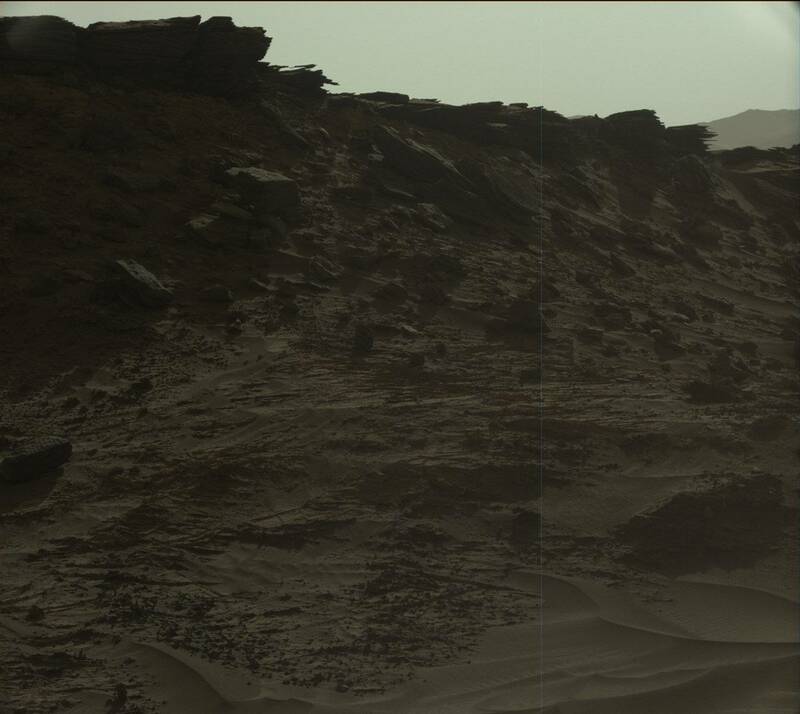 The first picture below is looking behind its track, and it's easy to see that Curiosity is gaining some altitude as it climbs up the slopes of Mt. Sharp. The second photo shows the Naukluft Plateau it's currently climbing up to.